Up to 700,000 women and young people in the UK are 'very interested in taking up golf this summer,' according to a new survey to be published by Syngenta. More than 2,000 UK residents were questioned last month (April 2014) as part of new study titled "The Opportunity to Grow Golf', to be published later this year. The research, which coincides with National Golf Month, follows on from Syngenta's recently published'Growing Golf in the UK'report, which had indicated nearly two million people in the UK have a strong interest in the sport. Commenting on the survey results, Simon Elsworth, Syngenta Head of Turf and Landscape (EAME), said: "Building on our previous research, we knew that there was a level of interest in golf among non-players, and proportionately more among women and young people. But we wanted to gauge the true extent of that interest. "What we have found is a very strong interest in golf and an indication that this is a fertile market, with a specific opportunity to grow the game around female and youth participation. "However, how many of these prospects can be converted into regular golfers depends on a multitude of factors, from access to affordable golf lessons to the friendliness and flexibility of golf clubs and courses." 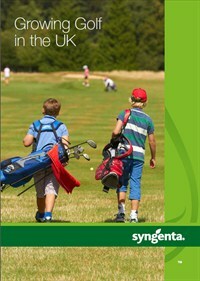 Syngenta's previous report, 'Growing Golf in the UK' found that there was a need for clubs and courses to become more female and family friendly, with flexible membership options and more relaxed rules and regulations. It also indicated the need for access to affordable golf lessons and, in the case of women, a preference for female-only beginner classes. Regular, committed golfers - golf clubs' most valuable customers - indicated their desire for the best course conditions. 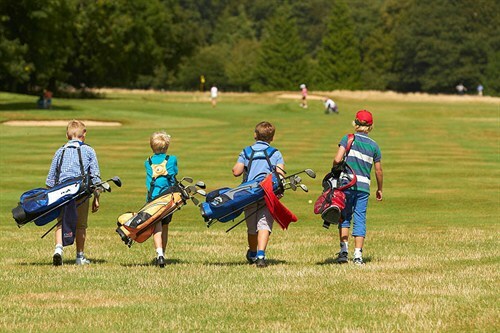 "As we celebrate National Golf Month, the UK golf course industry can be encouraged to see that there are opportunities to grow the game and that female and youth participation is one of those specific opportunities," continued Simon Elsworth. "As a company, our objective with this research is to provide clubs and courses with information that will help them make customer-focused decisions to maximise market opportunities and deliver long-term sustainability for the sport and business of golf."